This is unlike any tricep pressdown bar you've ever used. The 1.75" thick powder-coated bar is a part of our line of "Hog Leg" fat bars and blows traditional 1" chrome bars away. The thick handle feels solid in your hands and doesn't slip. Doing super sets? Do your set of regular tricep extensions and then switch to the semi-neutral grip to bang out another set. The neutral grip is angled just enough to keep your hands from slipping easily. They put real thought and testing into this product. This is the latest model that includes the swivel to eliminate friction and allow for smooth pulls. 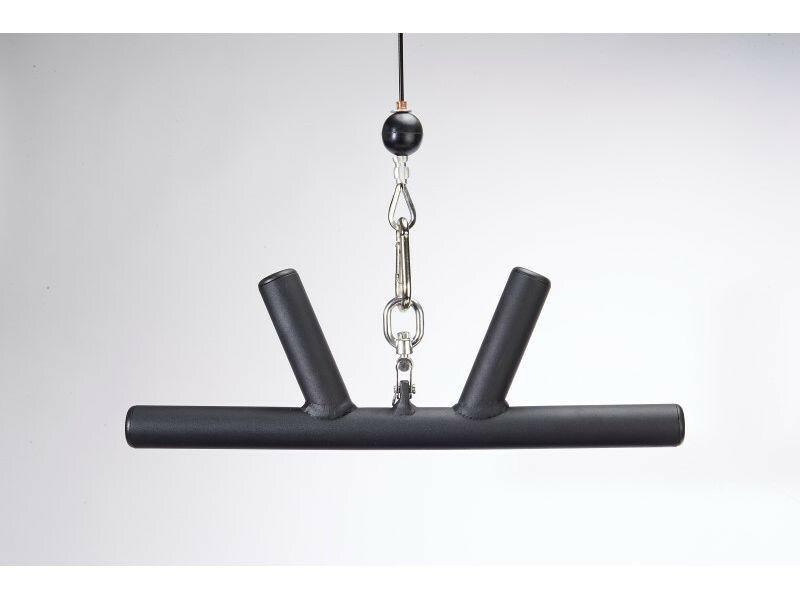 It even beats tricep pressdown bars that have a rubber-coated grip. The powder coating on this bar provides a great grip, and there's no chance of it wearing out or slipping like rubber, and it's easier to clean.